There is much debate about what kind of a political world we currently find ourselves trying to navigate. Has history – and geopolitics – stopped? Has the liberal democratic model, along with its broad middle class and general prosperity finished off the major convulsions that have dominated history books? Are states like Russia and China inevitably moving in that direction, or will their rulers continue to play big politics? Whatever tomorrow’s history books eventually conclude, states like Russia are currently using international cooperation as well as aggressive power politics, depending on what suits the given situation. Germany needs its partnership with America to deal with the worst of these – but also with the best. The worst may transpire – Putin could continue his idea of turning Russia into an imperial superpower to counter the United States. His policies already embrace internal autocracy, ethnic nationalism, and destabilization, as well as anti-Western propaganda. In order to prevent erosion of its borders, Europe will have to return to a dual policy that worked before – the carrot of ideological pull, and the stick of military deterrence. It is obvious why Europe needs the US for the military deterrent element. But the soft power part is even more important – and also relies on cooperation with the United States. For Europe and America are more reliant upon each other than ever to create an attractive alternative option to the Russian closed shop. Historian Niall Ferguson said the tragedy of the socialist eastern bloc states was that they never managed to produce a decent pair of jeans. This failure summed up many aspects of their societies that sparked their rejection by their people. It may be iPhones rather than jeans that are the measure of things today, but the tension between systems remains. The attraction of the West has already lead to the collapse of one anti-liberal ideology – and it can do it again, even the new, chauvinistic Russia. This makes the TTIP trade agreement with the US not just in the economic, but also in the strategic interests of Europe and Germany. Putin is set on trying to weaken the unity of the West, by deliberately stoking anti-Americanism in Europe. And his seeds of discontent are finding some fertile ground. 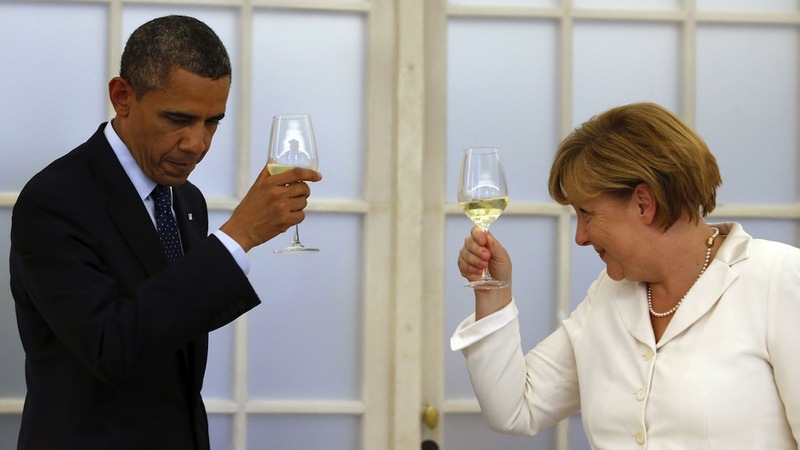 Some Germans do feel that end of the Cold War has made the close relationship with the US an anachronism. There seems to something of an “adolescent separation” at play. Otherwise it would be hard to explain, as my colleague Sebastian Fischer has pointedly put it, why some Germans even “see the Ukraine situation as a conflict with America, not Russia.” He is wrong, though. While the teenager may say hurtful things to their parents during a row and even threaten to move out, the close family bonds that tie remain strong. As justified as is, the criticism of American excesses in its “war on terror” cannot be allowed to divide the West. Differences in opinion are not necessarily differences of values – and this must be explored within the trans-Atlantic partnership. Do we actually still share enough values, or is the rift too big to be overcome? There is a long list of things which the US has done or does, that go against very fundamental German values. These include the Iraq war, the torture in Abu Ghraib prison, Guantanamo, the CIA’s “rendition” kidnapping flights, the strategy of targeted killing by drones, the NSA’s mass collection of data, and spying by US agents, including the hacking of Chancellor Angela Merkel’s phone. And indeed, in many cases, one can clearly say no, it’s not enough – the lower threshold for military action, the use of pre-emptive military strikes, and the disregard for data privacy show fundamental differences in value judgments. A clear-eyed discussion of all that separates Europe and America is long overdue. We have to look at everything anew – from killer drones to Facebook monitoring. But at the end of the day, the disagreements are sparked by questions of degree – they are not categorical. Consensus remains on the following fundamental values. Rule of law: Germany has more in common with the US over rule of law than some other European countries such as Romania, Hungary and Bulgaria. Democracy: “Government of the people, by the people, for the people, shall not perish from the Earth.” Who would sign up to Lincoln’s principle with a firmer hand than the people of western Europe? Pluralism, freedom of opinion and freedom of belief: Thomas Jefferson’s separation of church and state, extended to editorial offices and social media. A conviction shared in Europe, more strongly the further west of Berlin one travels. Work ethic: It is rooted in Protestantism that has made American and German societies more productive than others. Both live to work rather than working to live. An appreciation of necessary self-criticism that they also share is closely bound with this ethos. 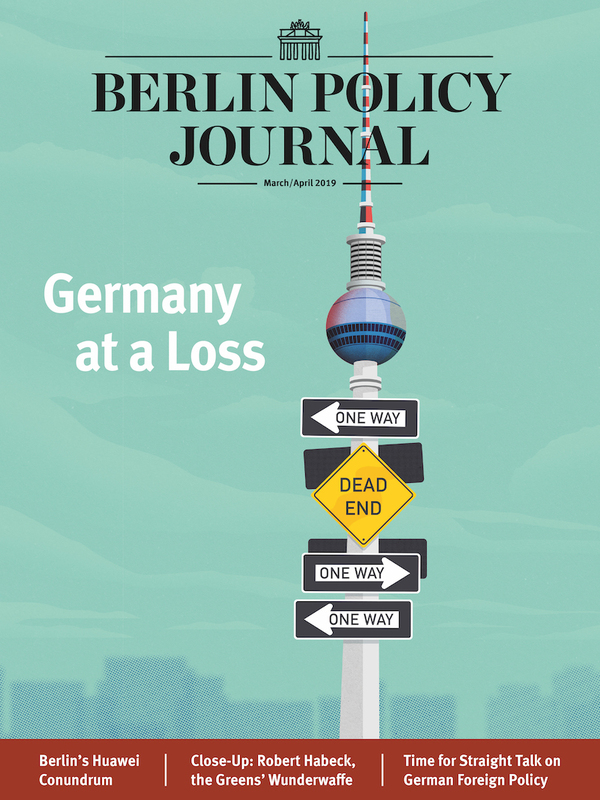 Germany has become a little great power – it has come of age in foreign policy. The teenager has proven she can be trusted, and has picked up ideas of her own. But even if many Germans want to distance themselves from the US, the situation remains fraught with complications. Former US presidential adviser David Frum wrote recently: “Germany has re-taken its rightful place among the great powers. It has at the same time though, moved away from the alliance structures of the post-war era.” This may be an exaggeration, but it is certainly correct that a growing share of Germans would like to demonstrate their regained sovereignty by stepping away a little from America. Of those asked in an ARD-Deutschlandtrend poll in April 2014, 49 percent said Germany should take up a central position between Russia and the West. The logical position for German foreign policy would be to take the lead in strengthening Europe. This would be an extension of the economic primus inter pares role Germany already occupies within the European Union. But do other Europeans want such a Europe? And would the Germans themselves even want it? The southern Europeans clearly have no interest in an even more dominant Germany. And the Baltic states and Poland would never leave their military defense in the hands of the EU alone – for them NATO membership is the guarantee of sovereignty. And for Germany itself, deeper EU integration does not always means more sovereignty. EU membership initially limits national sovereignty – albeit with a chance of increased sovereignty as part of an alliance. But how sovereign was Germany when it came to guaranteeing billions in loans for euro-crisis countries? Juggling the interests of member states, EU policy is often one of the lowest common denominator – limited to the maximum tolerated by its least enthusiastic member. And this would also apply to foreign policy. 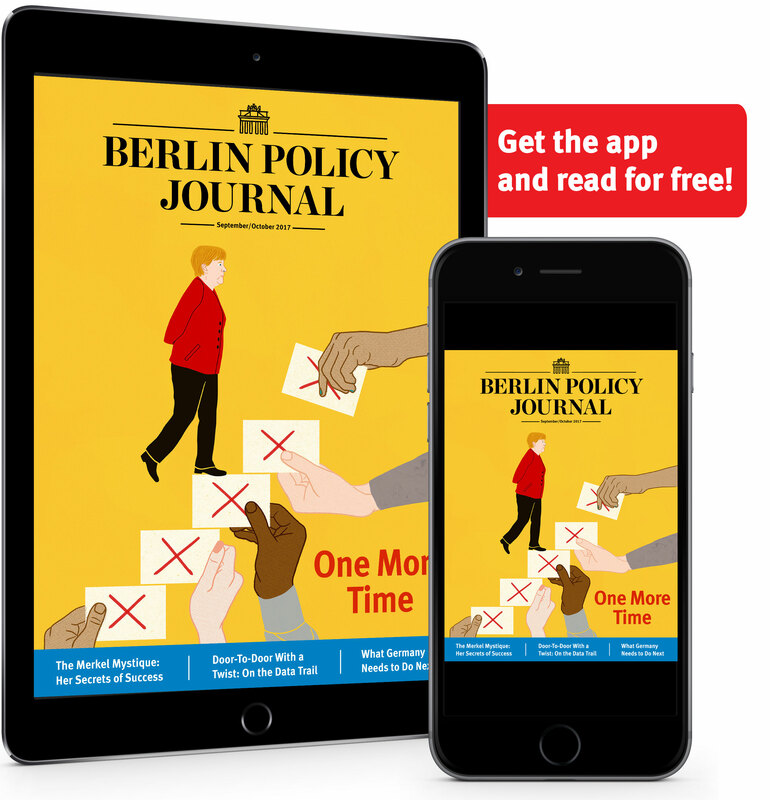 Even if Europe were to create a European army, which could match that of the US, and uncouple Europe from NATO – even then, Germany’s ability to determine security policy would be reduced. The EU can, in the best case, increase its foreign policy clout via trade. The relationship with the US is crucial for both parties. And as teenage Germany comes of age, it has proven it can be trusted – and yet has its own priorities. It now needs to have a sensible conversation with the parental figure of America about how to have an adult relationship. Despite their differences, they still love, and depend upon, each other. Germany needs to be confident, not to sulk or have a tantrum. And America needs to recognize that Germany has valid ideas of its own. All of this must be possible – at the end of the day they still need each other. is an editor at Germany’s weekly newspaper DIE ZEIT. He writes a monthly column for the International New York Times.